We track millions of social media posts and use machine learning to determine sentiment for 200+ of cryptocurrencies in real-time. Below are daily number of tweets mentions for Digibyte. The tweets mentions jumped by almost 50% on 2nd of January. The next day the price began a rally of almost 100% as of 6th January. We often find that the social media buzz is ahead of price. 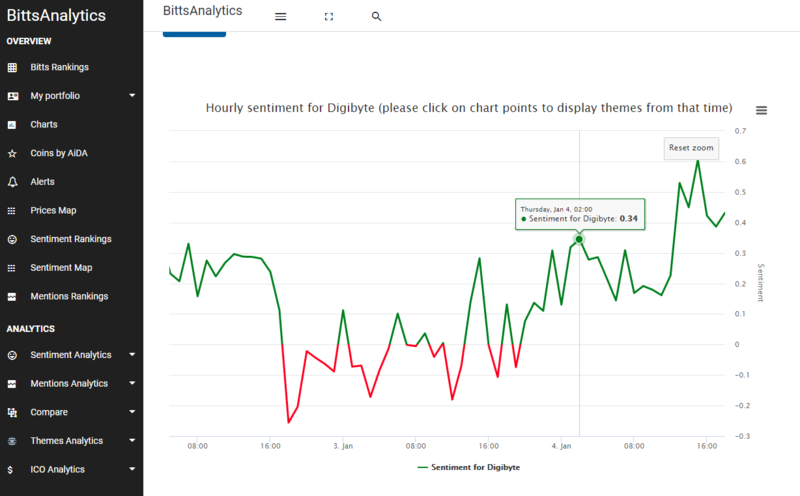 What happened is also a recovery in hourly sentiment of tweets about Digibyte on 4th January 2am UTC, see chart below. Later on that day the rally started from 0.08 USD to now around 0.12 USD. 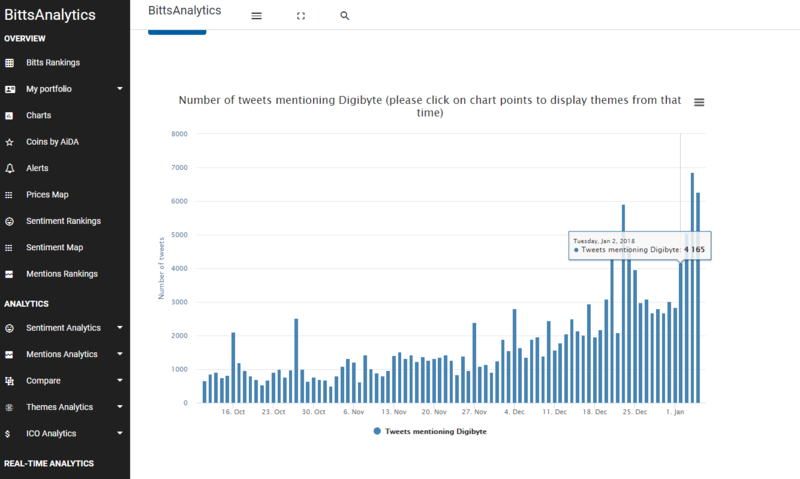 You can get tweets mentions as well as sentiment calculated with machine learning at our platform www.bittsanalytics.com.